Just when you thought it was safe to be a rat. Since its PC release earlier this year, Warhammer: Vermintide 2 has received a smattering of free DLC to spice up players' experiences as they worked their way through the main game. Each one was a welcome addition to the core gameplay, but we had yet to receive a "substantial" batch of new content from developer Fatshark Games. Luckily, the wait is over, as "Shadows Over Bögenhafen" is now available for download. Alongside a hefty patch, the DLC adds two new missions, "The Pit" and "The Blightreaper", as well as a bunch of new cosmetics for players to nab. Since Fatshark is oh-so-kind, both missions can be accessed by anyone via the game's Quickplay option, but only the folks who paid for "SOB" can use the new missions in custom games and, more importantly, garner the additional cosmetics. 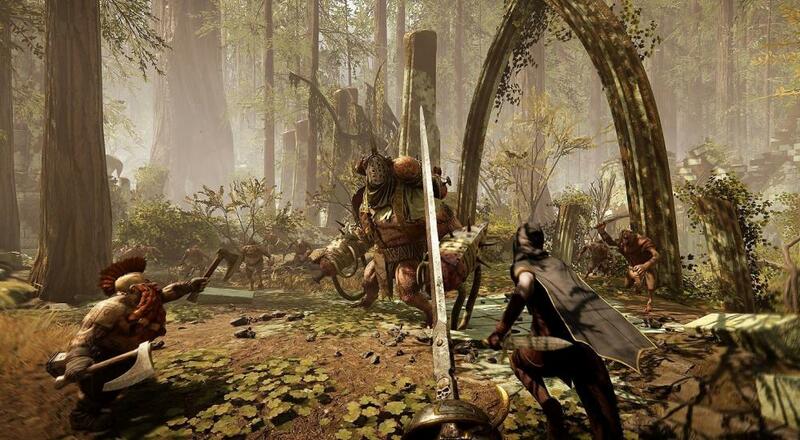 If you're unfamiliar with this whole "rat-slaying" fad, Warhammer: Vermintide 2 features hectic first-person combat à la Left 4 Dead and offers online co-op for up to four players. It's out now on PC and Xbox One, with a PlayStation 4 version arriving sometime in the future. I heartily recommend it to anyone looking for an enjoyable hack'n'slash romp with friends, or to anyone who simply doesn't like rats. Page created in 0.2522 seconds.